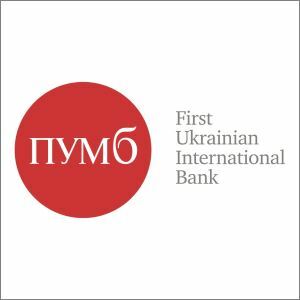 First Ukrainian International Bank (FUIB) is among top ten largest financial institutions of Ukraine by key financial performance. in Donetsk Oblast: Mariupol, Artemivsk, Kostiantynivka, Krasnoarmiysk, Kramatorsk, Sloviansk and Soledar. FUIB suspended operations of 31 outlets based in non-government controlled area in Donetsk and Luhansk oblasts pursuant to the NBU Resolution No. 466 of 6 August 2014 to suspend financial transactions in the areas not controlled by the Ukrainian government. in Donetsk Oblast: Donetsk, Dokuchayevsk, Horlivka, Yenakiieve, Zuhres, Khartsyzk, Kirovske, Makiivka, Novoazovsk and Svitlodarsk. in Luhansk Oblast: Luhansk, Sverdlovsk, Rovenky and Krasnodon. 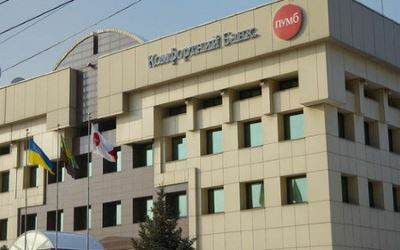 Employees of FUIB’s outlets based in the non-government controlled area who wished to continue working at the bank have moved to other regions of Ukraine and got jobs. The hostilities in Donbas damaged buildings, ATMs/ outlets of FUIB.